Do you have the practice of your dreams? Are you comparing yourself to other practitioners? The idea of success is a delicate one as each individual has their own interpretation of what success is. 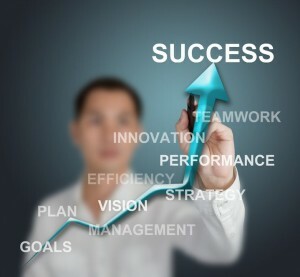 Some examples of success include; finance and monthly gross, the results of marketing efforts, treatment outcomes, patient satisfaction, family life, beauty or handsomeness, the circle of friends you have, passing exams, purchasing a practice. If you perceive that money is missing, then you will have a ‘void’ in your life around money. This will give you the the drive and put a high value on making money. If it is relationships, then you may end up with a very large dental practice and lots of staff who you get on with socially but your practice may not be making much money. If it is research, teaching and learning then you may seek employment at a hospital or research post, or do your own research in practice. Although these are generalisations, there are certain universal truths which can be seen when you ask someone about what being successful means to them in practice and when you look at what their life is demonstrating. I consulted with a dentist recently who continually kept on putting herself down and negating what she had achieved in her career. When we looked further into this, we found that she was comparing herself to a dentist who she perceived as more successful than her. We looked at where she was successful and initially she did not see it. For her, success was defined by having a big house, a fast car and a handsome husband which she didn’t have. When we dug much further and deeper, we found that her form of success was in her intelligence, her freedom to travel, her social connections, her physical vitality her beauty. She was just not honouring or recognising where she was successful to the same degree as she saw in others. We then looked at all of the drawbacks to her, of the successes in the dentist she was comparing herself with and the benefits of her own form of success. When she could see in herself, that what she saw in the other dentist was the same, but in her form, a tear of gratitude began to roll down her cheeks. As she began to honour her own form of success, she began to realise that she was minimising what she had achieved and that she is truly successful. Once we got through the process of equilibrating the lop-sided perceptions she had, she was grateful for her success which was created as a result of her own values. In other words, if you can see it in the other, it is there in you. When you can see success in the other, it is only a question of finding it within you in your own form. The next step is honouring that. The world begins to honour you when you begin to honour yourself. Find your own form of success, and the world will find it in you also.